My first serious foray back into model railroading since leaving Seattle some years before. This was to be my “forever” layout in my “forever” home. 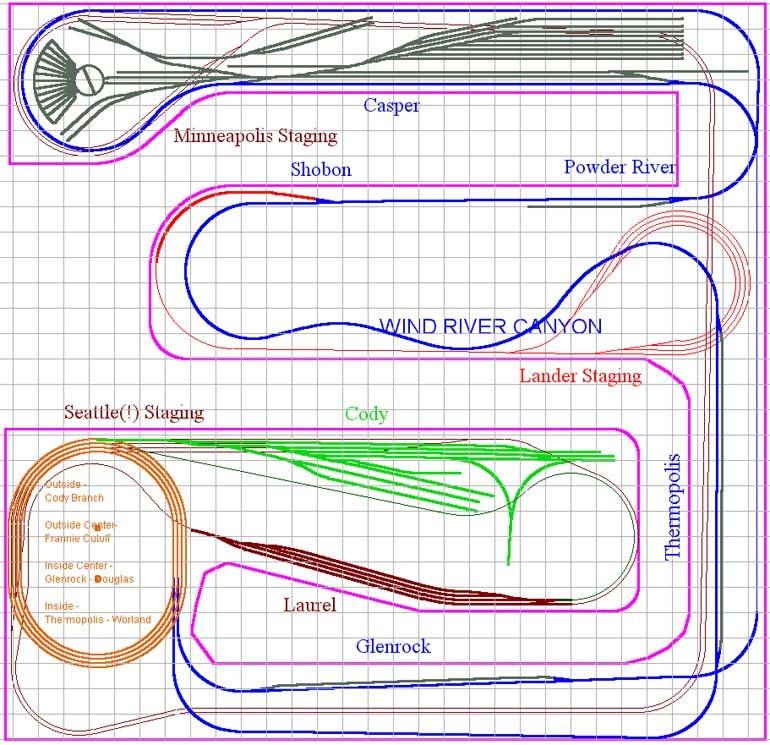 This is the first layout where all my operating concepts, modeling era and such really came together. This was the layout that followed the “forever” layout. After moving from my “forever” house in Wenonah, NJ to the new house in Merchantville, NJ (said move being precipitated by a marriage), I planned and to an extent built a new and larger version of the Wenonah layout that never got very far. For the time being (October 2017), the vast bulk of modeling will be found in this section of the website. After a transfer with my employer to South Carolina, the old CB&Q in Wyoming had to come down. A couple years later, a new version began to grow at our new home in Allendale, SC. There is no doubt in my mind that this house provided the most layout space (about 4,000 square feet) and the nicest layout room I’ll ever have. Progress was proceeding on the layout with the help of a group of round-robin operators / workers when my wife was suddenly in a fight for her very life. We very suddenly had to move closer to my employer so I could come home during the day as needed, which ended this version of the line.